showing a main trendline failure. 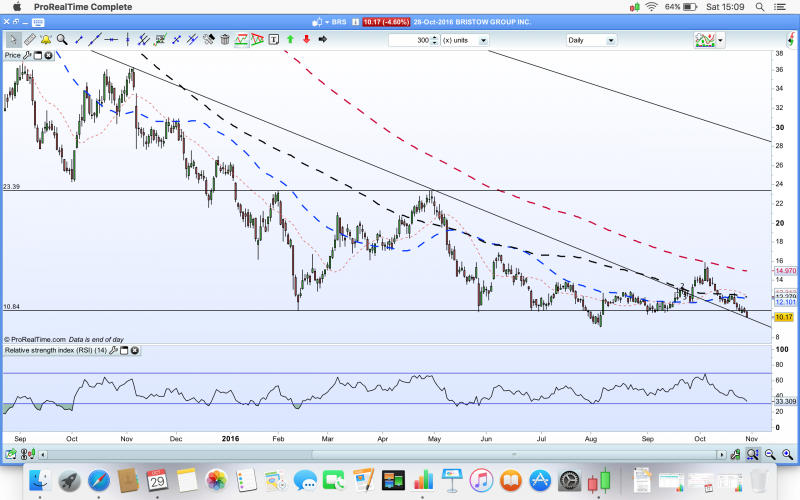 shows bearish rsi div. and bearish ema line crossover. This had a really good day at the start of February (after quarterly results) with a 25% upswing, sadly it failed to maintain it and has been in a decline since. 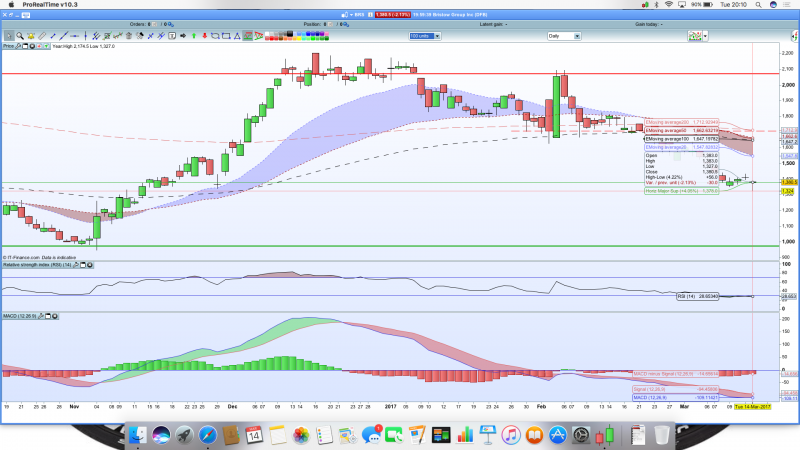 Well below all the EMA, RSI in the gutter, but is that a hammer I see? So, after the recent run up to the 200MA, we have had a retreat to usual territory. Trend line is support (just), with the most recent low not far below. I really want this to head north but fundamentals are still not great....quarterly results next week too. Hope you managed to get in. Clear downtrend, from around $80, down to around $10. 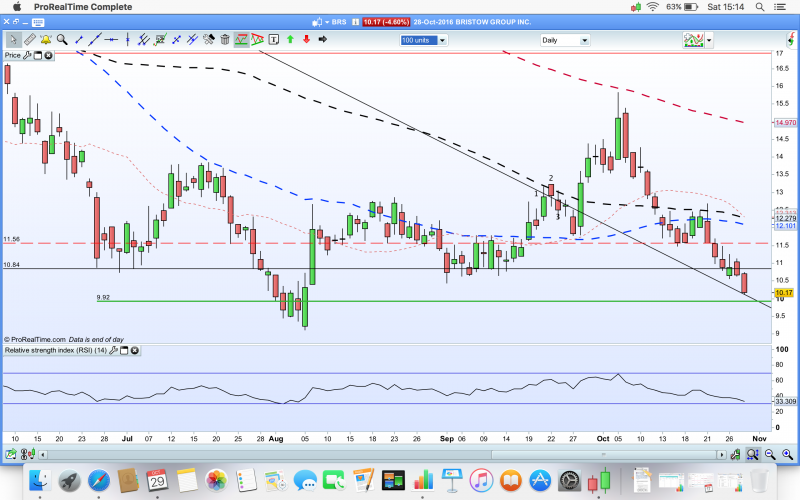 The red support line at around $10.80/ $10.5 area, looks to be a basing taking place. 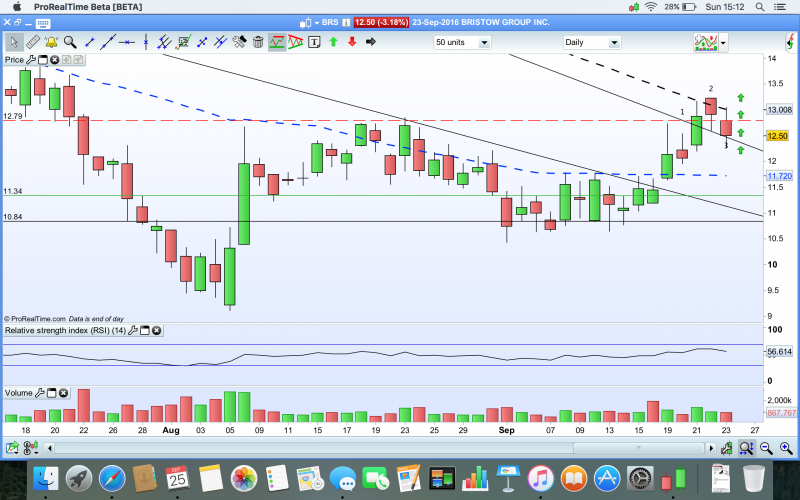 Only one break below this down to a low of $9.50, which looks to be a bear trap break. That drop to $9.50 area was quickly bought into, this could indicate strong support below $10.80. The basing at $10.80 has been taking place since since Feb, and the longer the period of basing the stronger the bounce up when it eventually happens. 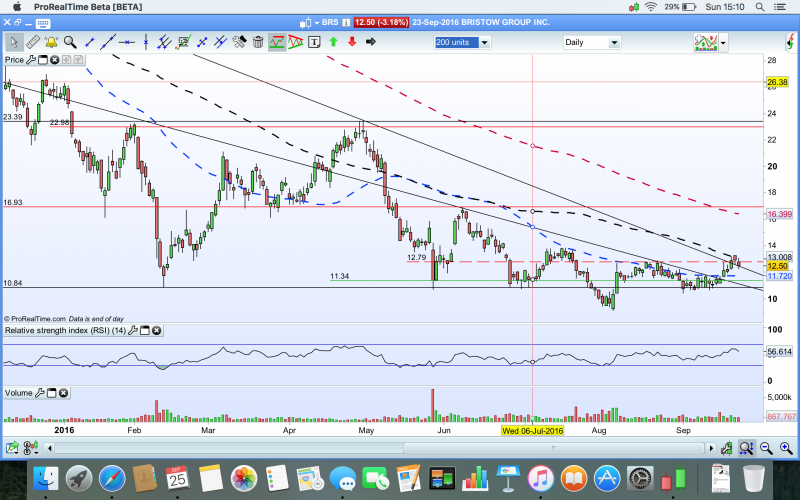 I think this stock should could have bottomed and a bounce to $15 to $18 (200 day ema line) area is possible. this looks to be a buy at that $10.80/$ 11 area. Cautious buyers would wait for a weekly close above the 50 day ema line. A move above 12.50 area would be a 1,2, 3 low breakout as well. Only a close below the August lows would delay the recovery argument imho. Hope that's helpful all the best. the strength of the move suggests the next target of $18 could also get hit imho. Last Edit: 05 Oct 2016 17:55 by Trendfriend. 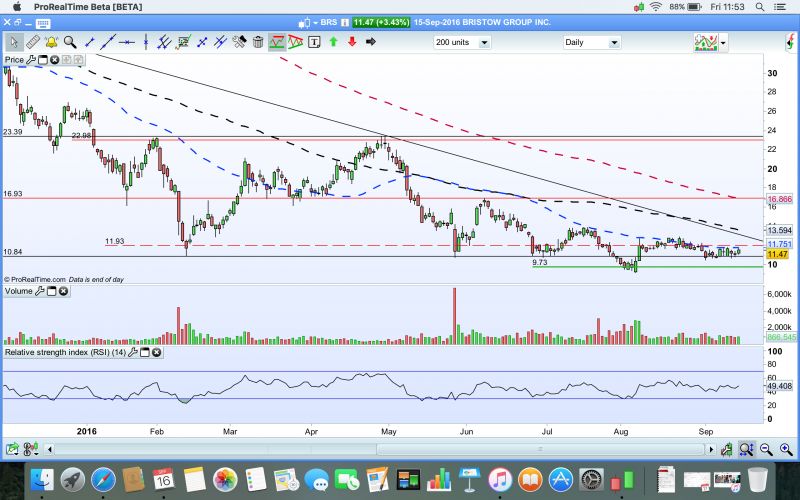 looks like a 123 low, but stops should be placed below 10.5.Only thing with this share its been going sideways for a long time so 123 set up is not the best one but id still trade it. Do we have the 1-2-3? I think (chart wise) this could rise, but on fundamentals I remain unconvinced. Opinions welcome. Today saw a +10% intraday move but retreated from both the 12.80 resistance & (down) trend line, closing 6% up and above the 50 day MA. Lets see what happens next??? Last Edit: 18 Sep 2016 13:21 by Trendfriend. Ah Trendfriend, put me on the spot why don't you! I can my view, but why don't you have a go first?? You've quite a lot work on the chart already! Anyone able to provide guidance on what you think might happen with this one?